What was it like to be an American pioneer during the 1800s? 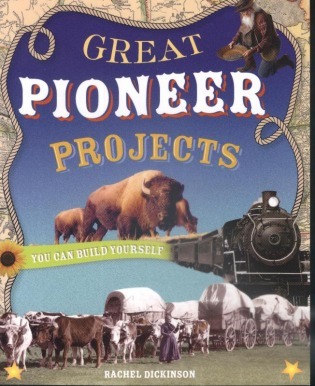 Great Pioneer Projects You Can Build Yourself introduces readers ages 9 and up to the settling of the great American frontier with over 25 hands-on building projects and activities. Young learners build replica sod house, log cabins, and covered wagons and create their own printing presses and maps. Great Pioneer Projects You Can Make Build Yourself provides detailed step-by-step instructions, diagrams, and templates for creating each project. Historical facts and anecdotes, biographies, and fascinating trivia support the fun projects and teach readers about the American pioneers' relentless push westward. Together they give kids a first-hand look at daily life on the trail and on the frontier. Great Pioneer Projects You Can Build Yourselfbrings the American Pioneer Experience to life. Paperback, c2007, vi, 122 p. :ill. ; 25 cm. Includes bibliographical references (p.120) and index.